Turmeric originated in southern India. Belonging to the ginger family, turmeric has been used in East India and the Middle East for years and years, and is now one of the most sought out spices in the world. 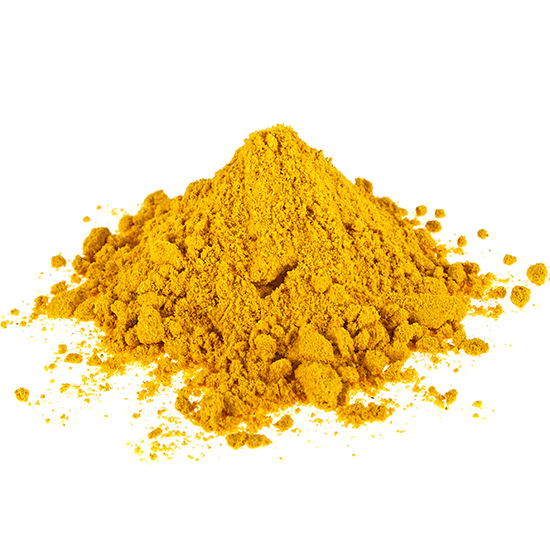 The bright yellow color of the turmeric powder is perhaps its most striking characteristic. You’ve certainly seen it, even if you haven’t recognized it, and if you have ever enjoyed Indian food, you have almost certainly consumed it. Traditionally turmeric was called “Indian saffron” because of its deep yellow color and was used as a condiment and textile dye. Nowadays, people are using them all over the world for many different types of dishes. This spice-rack staple has gone from languishing in the back of the rack, to sitting up front. Turmeric smells slightly like mustard but has a hot, almost pepper-like bitterness to it that complements a variety of dishes and makes it very popular in soups, sauces, curries, meat dishes, biscuits, rice preparations, and as a general spice flavoring for dozens of other cultural dishes and specialties. Turmeric is the spice that gives curry its distinctive yellow color. Turmeric is a perennial herb with underground rhizomes. It produces tall, very beautiful flowers. Turmeric requires well drained soil and a frost free climate. Plant turmeric in September or October, into a warm soil. Rhizomes are harvested 9 to 10 months after planting, the lower leaves turning yellow or stems drying and falling over are indications of maturity. Schiff Foods Products Co., Inc.
Website Design by Radial Creations.